The Afinia L501 Color Label Printer is offered in Afinia L501 Duo, Afinia L501 Dye and Afinia L501 Pigment configurations. 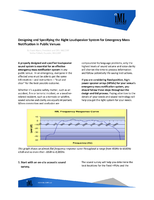 The units can print up to 8.5 in. wide labels. The Afinia L501 Duo printer features two print heads (one pigment and one dye), the Afinia L501 Dye model is equipped with dye print head and one set of cyan, magenta, yellow, and black dye-based ink cartridges whereas the Afinia L501 Pigment printer comes with one pigment print head and one set of cyan, magenta, yellow, and black pigment-based ink cartridges. New color label printer works with both pigment and dye inks, allowing users to print GHS and prime labels on the same machine. Auguest 7, 2018, Cheyenne, Wyoming - Afinia Label recently introduced a dual-purpose color label printer that uses both pigment and dye inks. With “Duo Ink Technology,” the Afinia L501 color label printer is marketed to small- and mid-sized businesses that need an affordable, flexible way to print both industrial and prime labels. Matte labels printed with pigment inks are highly resistant moisture, fading, abrasions, and extreme temperatures while those printed with dye inks are vibrant, high impact, and colorful. Khalifa pointed out that dye-based inks are much more attractive by their nature, but they are prone to fading and aren’t intended to be exposed to sunlight, moisture, outdoor use, temperature extremes and other environmental hazards. 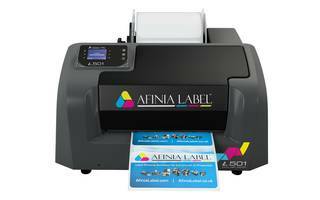 Khalifa said that the Afinia L501 Duo color label printer comes with both the pigment and dye print heads (and both sets of ink cartridges). Those who prefer to start with one ink type and then start using the other ink type at a later date, can purchase the L501 in the ink type of their choice and then add the other print head and inks when their needs change. Afinia L501 Duo - Price $3795 USD Printer with two print heads (one pigment and one dye) and two complete sets of Cyan, Magenta, Yellow, and $200 free label promo Black ink cartridges in both pigment and dye. Best choice for printing industrial and prime labels. Plus $200 free label promo based ink cartridges. Best choice for printing prime labels. Can purchase the pigment print head and inks separately. Plus $200 free label promo pigment-based ink cartridges. Best choice for printing industrial and GHS-BS5609 labels. Can purchase the dye print head and inks separately. DuraFast Label Company, a label manufacturer, is an authorized reseller of the leading brands of color label printers including Afinia Label, Primera Technology, Epson, UniNet, and VIPColor. With offices in USA and Canada, DuraFast Label Company specializes in helping businesses print their own prime and industrial labels.